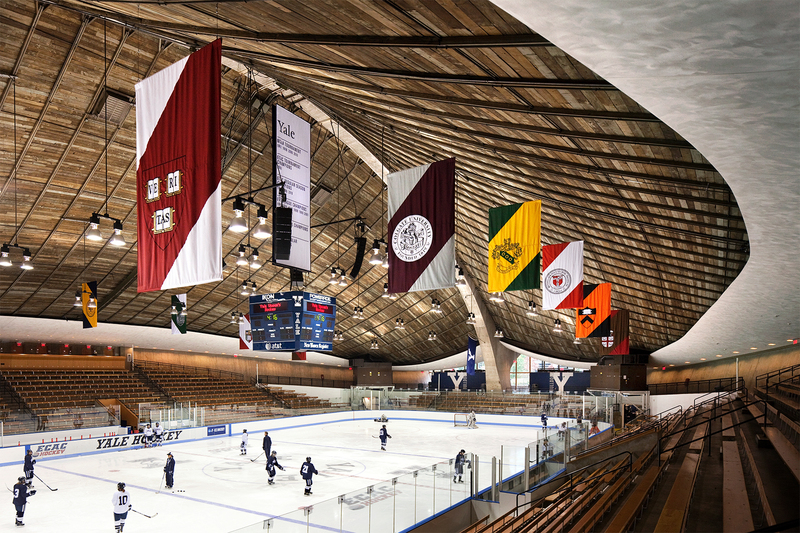 Eero Saarinen designed the Ingalls Hockey Rink in 1958. 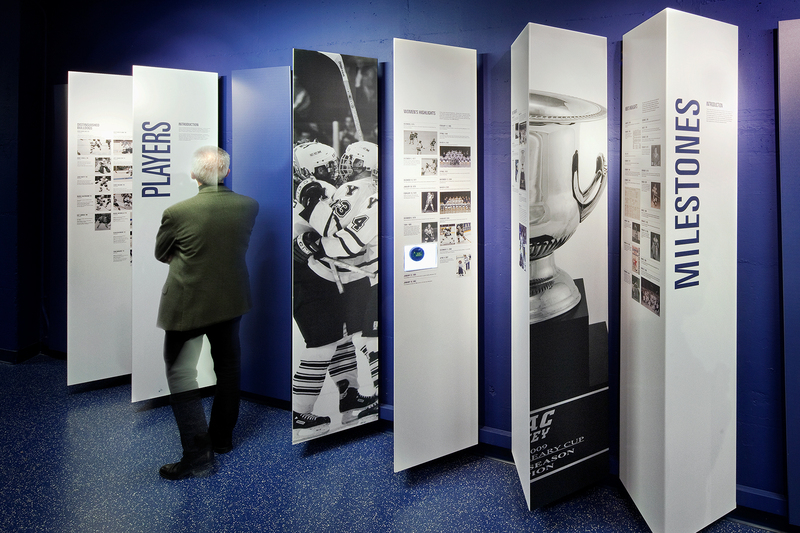 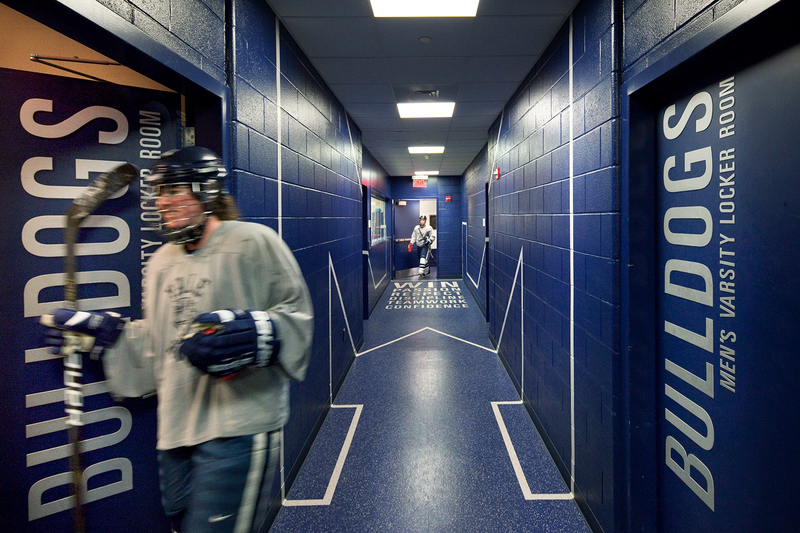 For the building’s 50th anniversary renovation, Spagnola & Associates designed banners to flutter over the ice, new building-wide graphics, and a permanent exhibition on the history of Yale hockey. 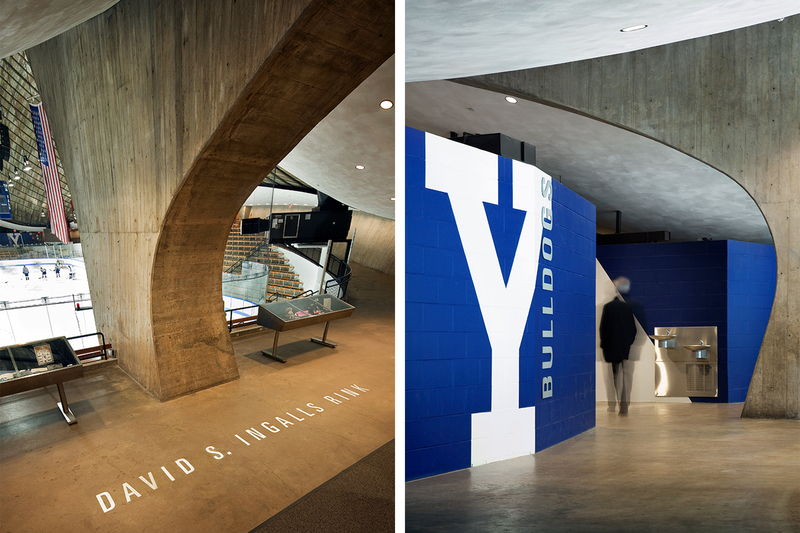 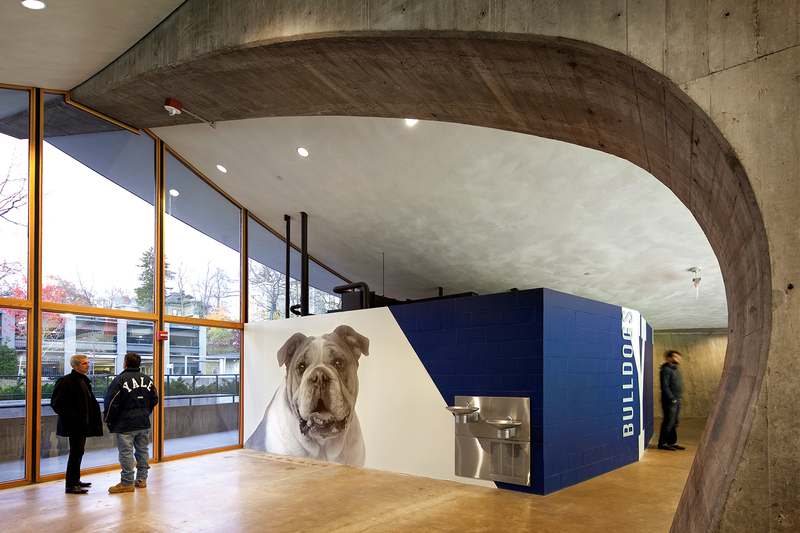 Among our more dramatic new creations was the “blue tube,” which combines bold typography and Yale colors to create an exciting, dynamic space.